Two Americans, two Costa Ricans and two Nicaraguans struggle though the rainy season in a small gated community in La Garita, Costa Rica. Through the rain and budding fruit, they battle through terminal illness, poverty, boredom, ex-husbands, theft, and sexual assault. The Costa Rican air has a way of turning even the most logical mind wild with passion. So I received this book from Lisa herself asking me to do an honest review of her novel. From the posts on Instagram she has made of little teasers, I was very interested in reading this thriller. So while reading this novel, I did find a few things that were very enticing, however a couple things I didn't really enjoy. From the beginning, I found Richard to be on my Creeper radar (ringing at high alert!). I tend to get that vibe from him, which I know, some would just say he is a lonely man, but NO WAY is he lonely! After a certain point, I found that there were a lot of names going around in the book. I do really like the fact that she used Third POV instead of first for only one character. This way I was able to get more of an understanding of each individual character, and all aspects. I also really liked the fact that Lisa made all of the characters be connected in some way. Like Richard was connected to Clara, and the maid's daughter. 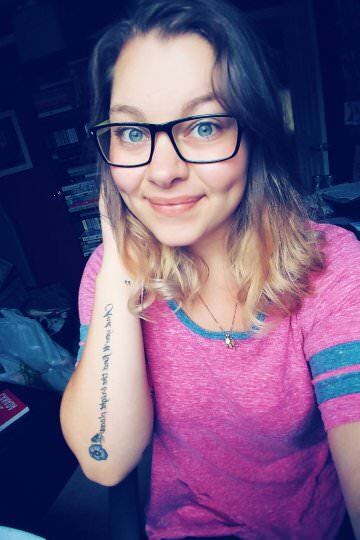 Eliza is connected to everyone since she is the manager/owner of the community and so on. I'm really glad it ended up like that, otherwise I don't think I would have enjoyed a novel where each POV is separated and had no connections. At some points however I did find that there were so many names, It was a little hard to keep track (mainly in the beginning). After reading about what happened to Clara, I just felt really sad and very disgusted at the fact that she was in this situation. I also couldn't believe what she did right afterwards! Talk about a downward spiral! The entire novel was definitely interesting, and there was a lot of aspects that you could honestly feel the emotion being written of these characters. I really did like it, however I just found that there could have been more to the story, like something just wasn't clicking. Lisa should definitely be writing another novel to this one, because that ending was just like totally off guard! WHAT HAPPENED! Some things come out of nowhere, and I definitely want to know what happened to these characters! I feel like I'm using a lot of exclamation points while writing this, but I mean come on! there was so much going on! :) I think another thing that I really enjoyed, was the aspect of what happens behind closed doors. All the time we may believe people are okay just by how they present themselves, yet once the doors are closed you don't see them falling apart on the inside. Poverty, Dying family members, Assaults, Possible deaths? All so much in such a short read! Overall I think she did a great job writing. The style was great, and I especially loved the fact that there were current events put into the story (like celebrities, music, etc.) The development of the characters was great, and I loved each and every story, even through the not so happy parts. I am really glad that I was able to read and write a review for What Grows In Heavy Rain. 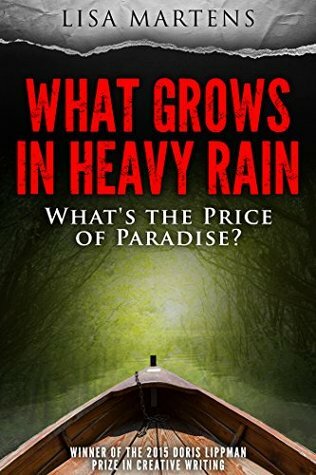 So there is my review for What Grows In Heavy Rain by Lisa Martens. I really hope you liked it, and If you have read it, let me know what you thought of it!